Make every day a good hair day with Ultra Hair Mini-Tabs, only from Nature's Plus! 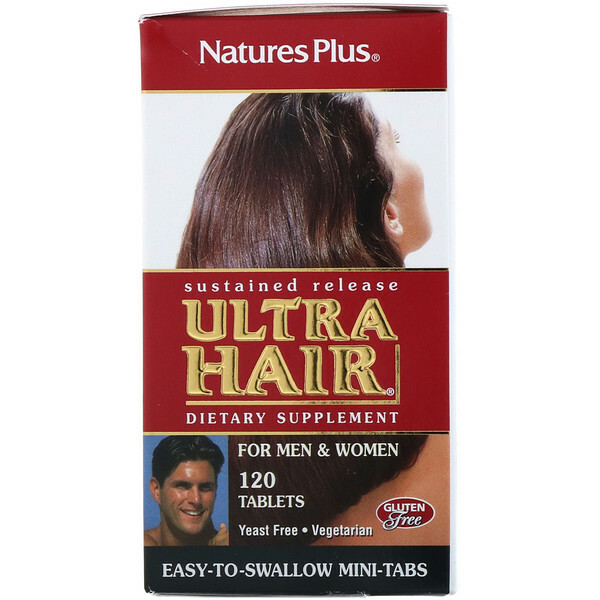 Easy-to-swallow Ultra Hair Mini-Tabs offer a mega-potency B-complex, with 500 mg of pantothenic acid, 2000 mcg of biotin and 400 mcg of folic acid. 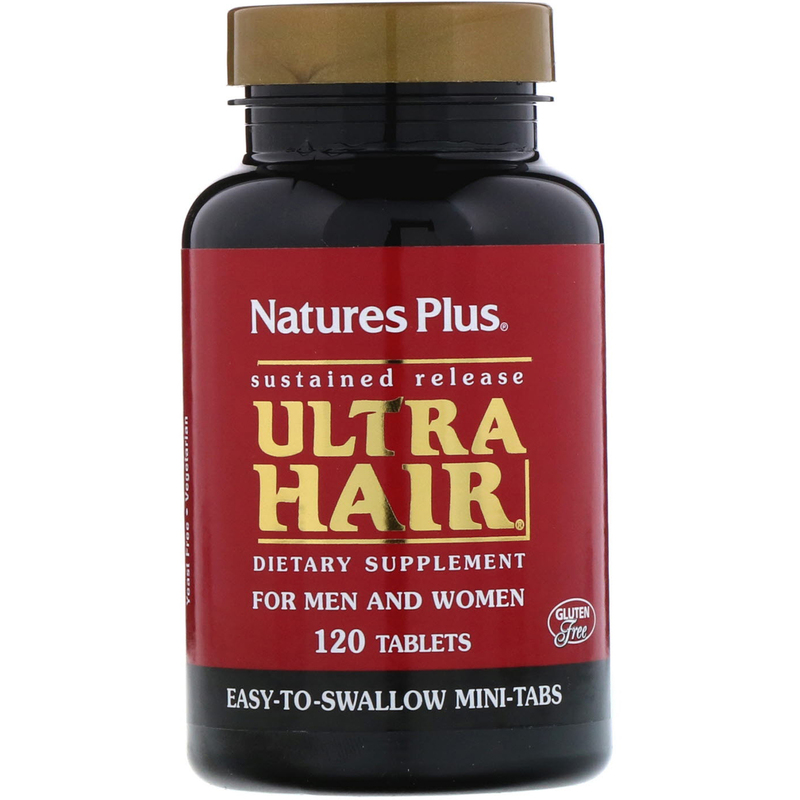 Ultra Hair Mini-Tabs also supply 100 mg of L-cysteine, and high potencies of vitamin A (as beta carotene) and vitamin C for synergistic support. This precisely calibrated blend of nutrients is combined in the proprietary Micro-Gel Sustained Release System, a special base which provides for the gradual release of ingredients over a prolonged period of time, for 40% better absorption and utilization. 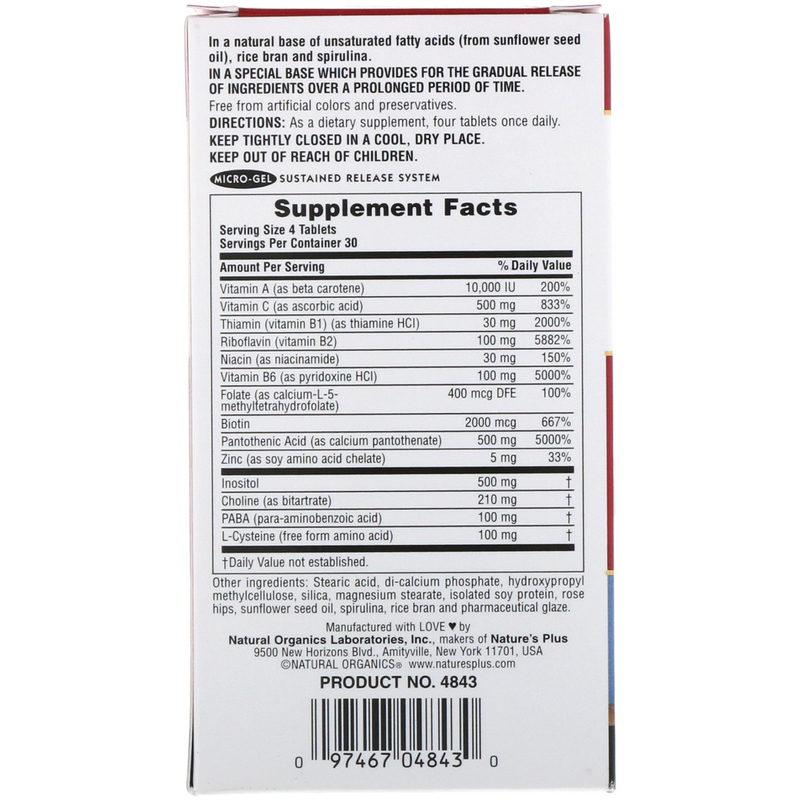 Stearic acid, di-calcium phosphate, hydroxypropyl methylcellulose, silica, magnesium stearate, isolated soy protein, rose hips, sunflower oil, spirulina, rice bran and pharmaceutical glaze.